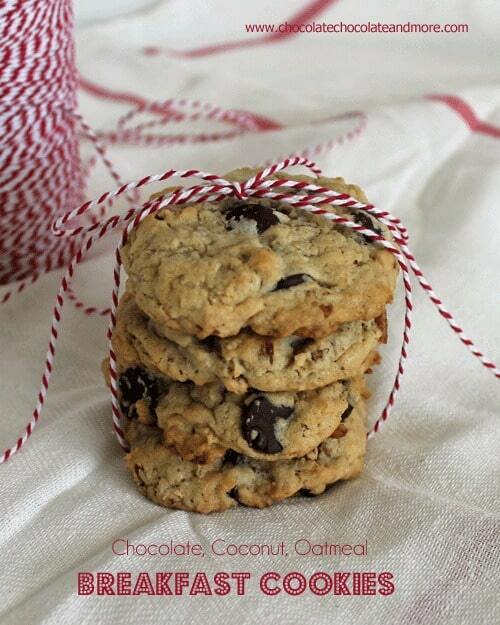 Chocolate Coconut Oatmeal Breakfast Cookies - Chocolate Chocolate and More! Chocolate Coconut Oatmeal Breakfast Cookies with Peanut Butter and pecans-the perfect way to start off your day! Cookies for breakfast? Oh yeah baby, you heard me. Why not. I remember going on a big family vacation with my sister years ago and she let her kids have Rice Krispie Treats for breakfast. Why not, they’re made from cereal. I started looking at my sister in a whole new light that day. After all, she had 3 kids, I only had 2 at the time. Looking back now, she was on to something. My kids are up before I am. My son and older daughter are out of the house to catch the bus for school before I’m out of bed. Now don’t go thinking I’m a horrible mother. My son catches the bus at 6:10 and my daughter at 6:15. My hubby is the morning person. He’s the one up at 4 am, without an alarm clock. He makes sure they’re up and showered in time. I’m awake, I’m just sitting in bed drinking my coffee and watching the morning news. It’s one of my quiet times. The youngest will usually come in and sit with me (a little cuddle time) before she heads off to catch the bus at 7:10. Needless to say, they don’t get eggs and bacon for breakfast on school days. We do breakfast for dinner and on weekends we’ll make something special like Cinnamon Rolls or Monkey Bread. No, breakfast on school days needs to be grab and run. I usually have muffins in the freezer for them to grab or granola they can put in a baggie to munch on. Sometimes you need to change things up a little. And when that change includes a little chocolate? You know it’s a change for the better. Theses cookies are full of good stuff. Oatmeal, pecans, coconut, bittersweet chocolate, peanut butter. Not overly sweet, full of flavor and they’re sturdy. They won’t crumble up from a little toss in the book bag. Much better than a silly Rice Krispie Treat. Cream butter and peanut butter. Add in sugar and beat for 5 minutes. Add in egg, water and vanilla, cream until well combined. Stir in flour, baking soda and salt. Mix in oats, chopped nuts and coconut. Fold in chocolate chips. Drop by heaping tablespoon (I use a medium cookie scoop) about 3 inches apart on ungreased baking sheet. Bake in a preheated 375 degree oven for 10-12 minutes. Let cool on baking sheet for 5 minutes then remove to racks to cool completely. These freeze well. 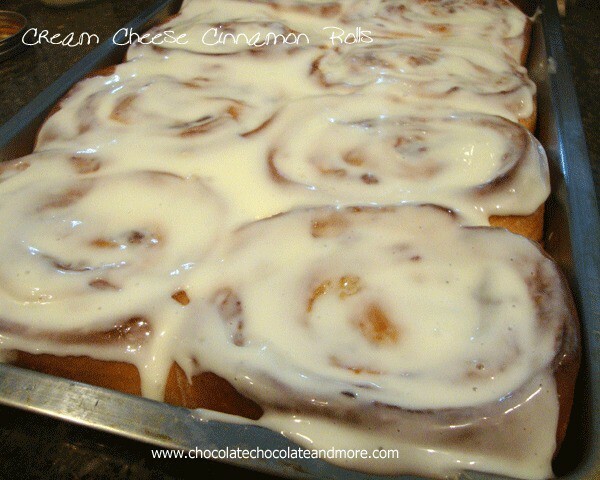 Need some other yummy ideas for breakfast? Cookies for breakfast? I like your thinking :). Cookies for breakfast are just my thing! Especially if they have oatmeal and chocolate. These look great! Cookies are good any time of day. Reminds me of an episode of the Cosby Show when Bill was serving up cake for breakfast. You are my hero Joan! Cookies for breakfast!!! What a wonderful thing to wake up to! This is the perfect breakfast! Love the chocolate and coconut combination! Lol my mom totally let us have rice krispie treats for breakfast!! And yes, I will definitely eat these cookies, any time of day! Yum! I’d love it if you were my mom giving me these cookies for breakfast! Hi. These look amazing. I think there is a mistake in the recipe. It says to cream the butter and peanut butter. Then it says to add the butter and mix for 5 mins. Did you mean add the sugar? Just checking. 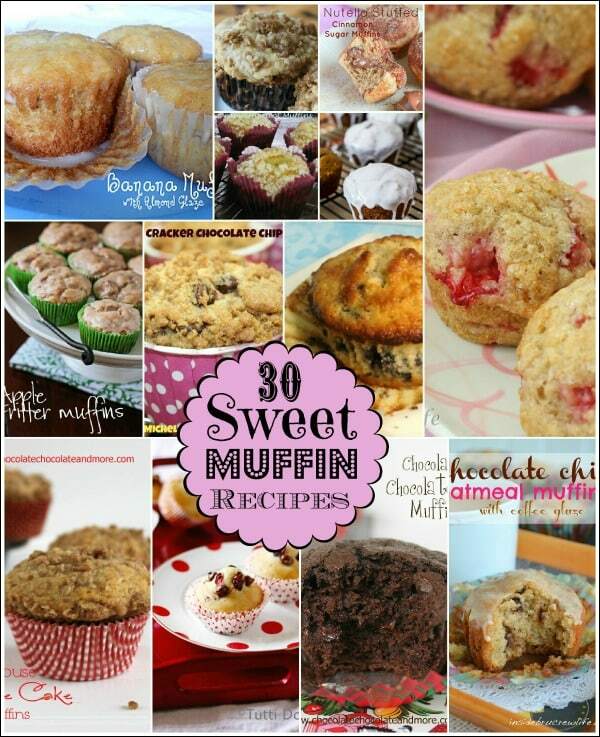 Am definitely going to make these in the near future. Yum. Do you need to make any change to the recipe if you leave out the peanut butter? Not a fan of peanut butter. Love cookies for breakfast! You are my kind of girl. Thank for sharing, these look so good! Just came back from Babysitting in NJ and yes, cookies were the healthy snack, although I did cut the amount of sugar to almost half. Since I couldn’t find chocolate chips I used dried fruit like dried apples,pears and apricots which have plenty of sugar, the dried fruit was cut into small chunks and I also added dried cranberries and raisins. The kids loved them! Those look excellent. I’m not a huge breakfast fan and want something because I know I should. I’ll have to give these a try. Pinning. Have a GREAT day. These sound amazing! I am definitely making them, thank you for sharing the recipe! I would love it if you shared it tomorrow on Thrifty Thursday link party @ http://fromnature-tonurture.blogspot.com/ Hope to see you there! These looks great! Really yummy! But wow your kids have to get the bus seriously early! I don’t blame you for having your quiet time in bed! So, are these on the “Cookie Diet” Cause if they are, count me in! Pinned! Thanks for sharing at Two Cup Tuesday at Pint Sized Baker! Hope to see you there again on Monday night! Cookies for breakfast? I’m your girl! Coming over first thing in the morning! Now I like your kind of thinking 🙂 these look quite wonderful for any time of the day! 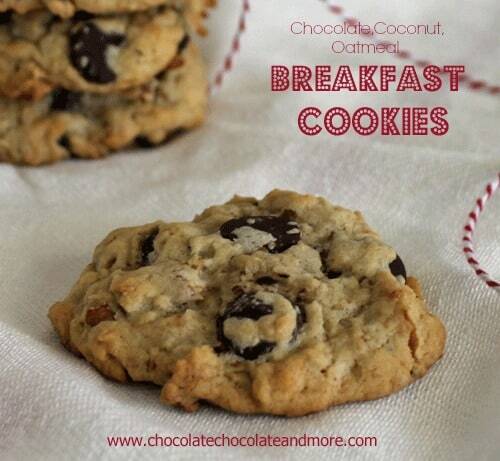 I want to come have breakfast with you:-) Love that you make yummy breakfast cookies for your kids. Although your sister was totally on to something…I can get behind krispie treats for breakfast because after all it is cereal!!! I’ll be there for breakfast. 6am okay? Or do we sleep in at your house? Do you happen to know the nutritional values of these delicious-looking yummies? My hubby is diabetic. Thanks. That’s so nice that hubs lets you enjoy your coffee and a little quiet time in the morning. Those are early buses to catch and these are the perfect breakfast cookies. I want one now for dessert with a hot cup of tea! I eats sweets at every meal so I’m all for these! 🙂 I love how thick they are. 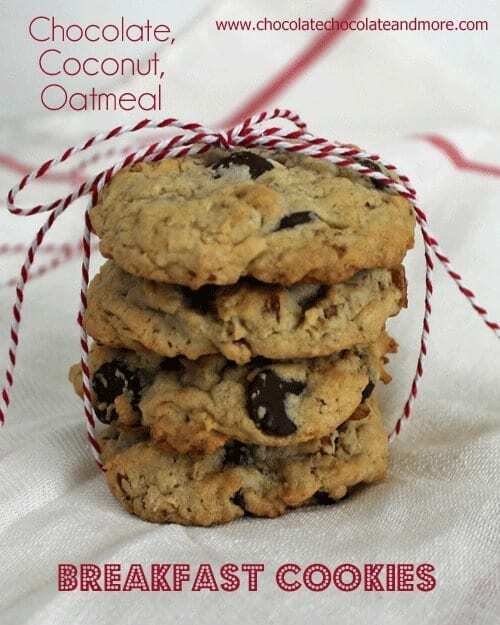 this sounds like a great oatmeal cookie! I was so excited to find this recipe, but when I went to make them, I got all the way to the end and realized there was no sugar in them. I thought that seemed weird so I reread the instructions several times and there is no mention of when to add in the sugar that is listed in the ingredients. It does mention butter twice, which I’m guessing is where the mistake is. I just sprinkled some sugar in and hoped for the best. Needless to say, they didn’t turn out very good at all and I’m really disappointed. Tosha, I’m so sorry you had trouble with the recipe, It should show you 1/2 cup butter, 1/2 cup peanut butter and 1 1/4 cup sugar. You are right, in my directions I do cream the butter and then add the butter again, I’ll get that corrected. I hope you’ll try and make these again, honestly, they are wonderful. 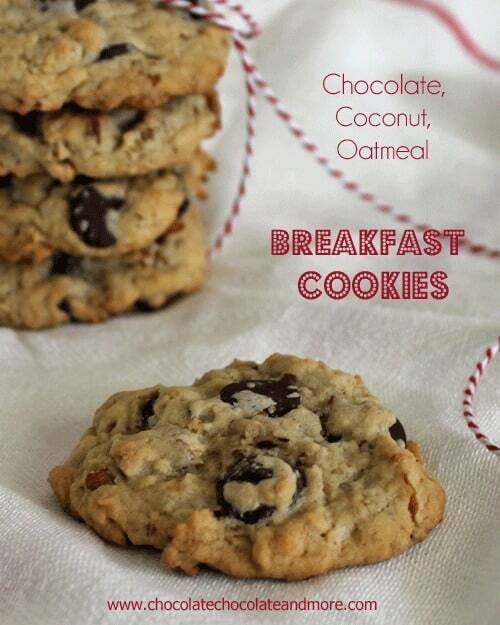 Yes, yes, and yes to cookies for breakfast!! These are a hard, crunchy cookie PJ, enjoy! you have posted. Thanks again!!! Joy in Jesus. Do these have to have the coconut? I’m allergic. It sounds great though. Certainly not, you can leave the coconut out, add more nuts or chocolate chips, make it your own! Enjoy! Thanks, I might try adding dried cranberries. I made the breakfast cookies this morning (double batch) and I am here to say …………they are amazing. Thanks for sharing. DELICIOUS. I Made these today, but instead of peanut butter I used Trader Joes Speculoos Butter. Just made these and they are sooo good!! Mine came out crunchy on the edges but softish in the middle. Tasty! I used cup of shaved bittersweet Belgian chocolate, coconut flakes, unsalted butter and, because I’m allergic to treenuts, 1/2 creamy, 1/2 chunky peanut butter.